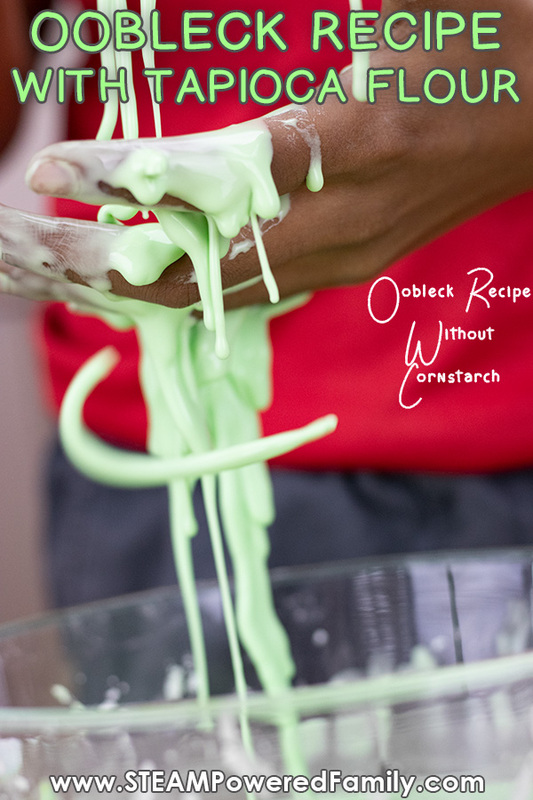 When it comes to making oobleck everyone knows the tried and true cornstarch recipe, but did you know you can make oobleck without cornstarch? 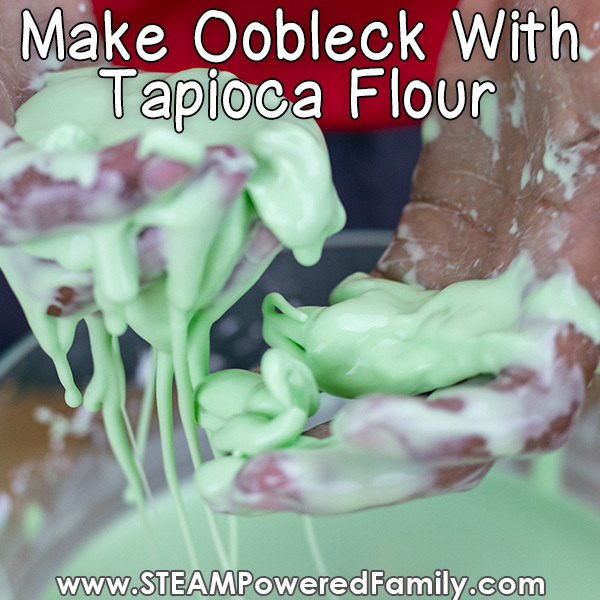 There are actually a few different ingredients you can use instead, but today we are making our oobleck with Tapioca, with some surprising results. 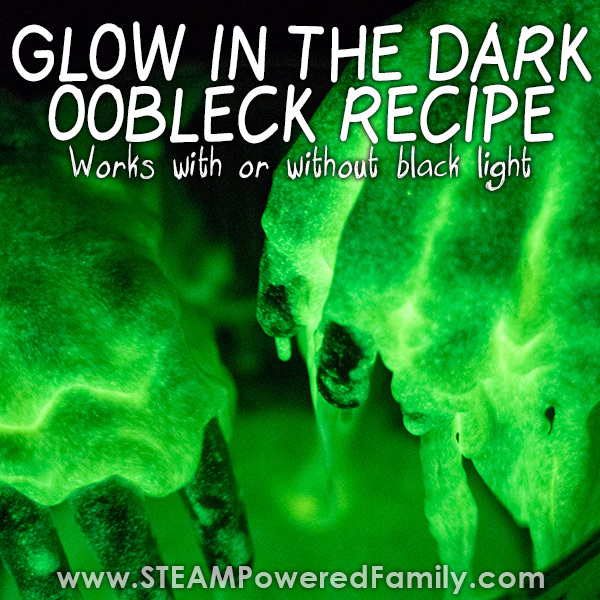 Are you new to the world of Oobleck? It is a fascnating substance that got its name from Dr. Seuss. It is scientifically known as a non-Newtonian Fluid because it doesn’t follow the laws Sir Issac Newton developed to describe the properties and behaviours of fluids. Oobleck is the rule breaker! And it all comes down to understanding it’s bizarre relationship with states of matter. Normally liquids become hard due to temperature changes, think of water freezing into hard ice. But oobleck becomes hard under pressure. Simply squeeze it with your hand, punch it, or run on it, and it will become a solid. Remove the pressure and it flows like a normal liquid again. It is completely fascinating to play with and explore, and a great science project when exploring states of matter. 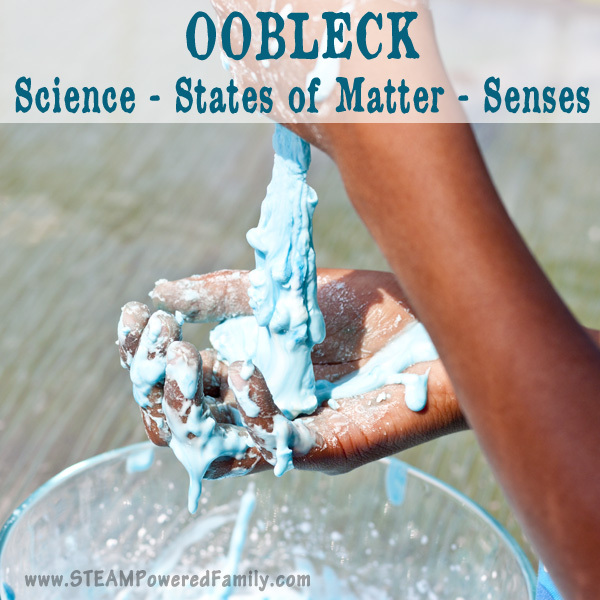 This activity is part of a series we did exploring how various ingredients worked in the creation of oobleck. We tested Cornstarch, Baby Powder, Tapioca Flour, Arrowroot Flour, Baking Soda and Potato. 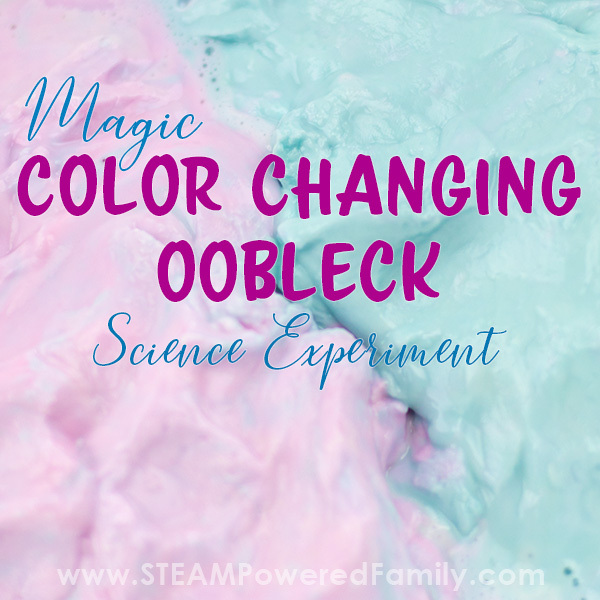 The results were surprising and resulted in a fantastic Oobleck Science Fair Project. Tapioca flour is made from the crushed pulp of the cassava root, a woody shrub native to South America and the Caribbean, the same region arrowroot comes from! Like our arrowroot flour, tapioca flour is also gluten free. So once again, find it in the gluten free baking area of the grocery store. Tapioca Flour and Tapioca Starch seem to be used interchangeably. 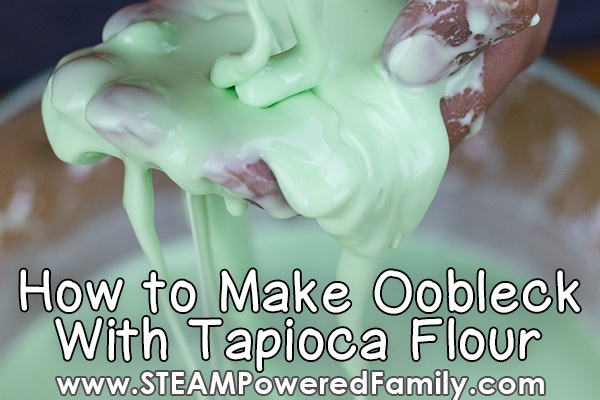 When we set out to make oobleck with Tapioca Flour we immediately ran into some issues. We mixed it up using the recipe ratios we use with cornstarch oobleck, and although it seemed promising at the beginning it suddenly turned into a soupy liquid. It took some playing around but it turns out we needed less water. So we used 2 1/4 cups of tapioca flour and 1 cup of water. 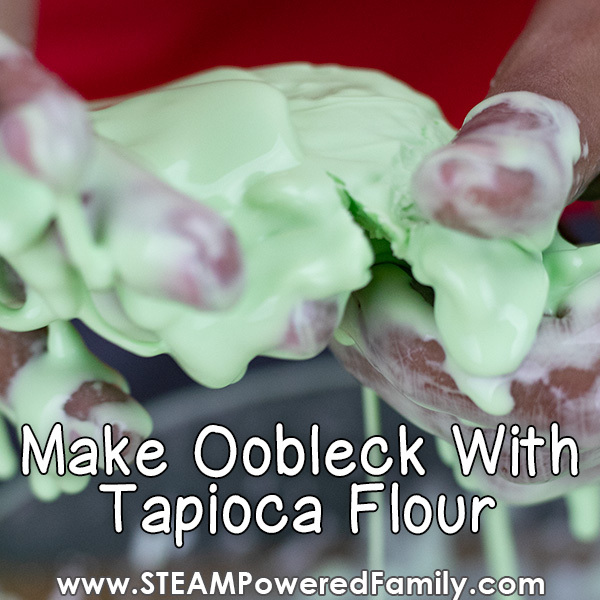 This tapioca flour oobleck recipe gave us a nice non-Newtonian Fluid. 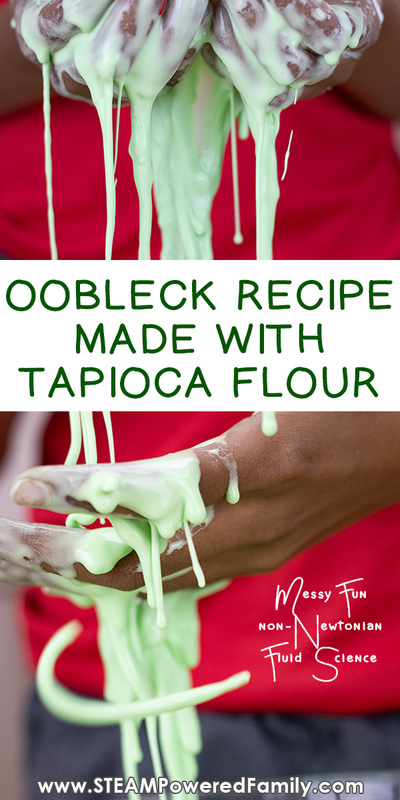 When comparing our various oobleck recipes we noticed this recipe was very similar to our arrowroot oobleck, although not quite as extreme in some of the behaviours. For instance it was very sensitive to pressure and would solidify easily. In fact it would become very hard when solid. Crazy hard. I actually broke a nail trying to dig some out of the bowl. The texture when squishing it around was weird, it felt almost dry and crumbly in the solid form. But release the pressure and it flows smoothly through your fingers. 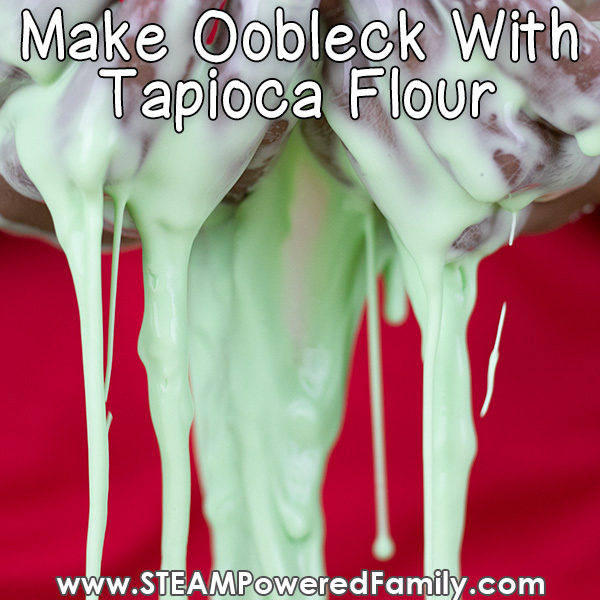 So in our experience both Arrowroot Flour and Tapioca Flour make fantastic oobleck recipe ingredients. However it is important to note that both of these products are also marketed under the term “starch.” What is interesting is that both of these ingredients created similar physical characteristics in the oobleck, and they both required less water than our standard cornstarch recipe.